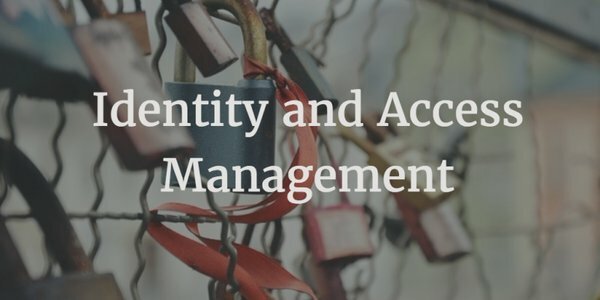 The Identity and Access Management (IAM) market is a complex space. It has existed for a number of years and has gone through a series of incarnations. Over the past decade, though, the market has evolved significantly. A number of key reasons contributed to this evolution, and they continue to impact the ways that organizations are handling their identity management processes and systems. All of these trends are dramatically changing the way organizations manage user access to their IT resources. The identity and access management market barely existed fifteen to twenty years ago. Given that IT environments were homogenous, the core solution was really Microsoft Active Directory. That all started to change for a couple of reasons: Linux emerged as a core part of the IT infrastructure, and Macs burst onto the scene. How to handle those other platforms quickly became an issue for IT. Most organizations would either allow those devices to be self-managed, or they would look for a directory extension solution. Either way, it meant more work because both cases involved an adjunct to the core Microsoft Windows platform. Data centers were previously located in-house, or machines were collocated inside of a third-party data center. The server infrastructure would be connected to the main network via a VPN, or it would be treated as its own separate network. In the latter case, the network was controlled by IT. As data centers gave way to cloud-based infrastructure, service became readily available from providers such as AWS, Azure, Google Compute Engine, and the like. Unfortunately, these cloud providers are multi-tenant, thus making it very difficult for the infrastructure to be connected back to on-premises identity and access management infrastructure. Applications were once housed internally, undergoing extensive evaluation cycles.When a particular solution was chosen, it was implemented over a long period of time. IT and stakeholders had to be deeply involved in any purchase. Implementation would consist of on-premises servers, software, and ancillary equipment such as storage. Because the solution was hosted internally, it was generally easy to connect to the on-premises directory service. In a world where applications are moving to the cloud en masse, connecting them back to legacy IAM solutions is challenging to say the least. There is a next generation Identity and Access Management platform called Directory-as-a-Service, and it’s addressing a number of these issues, along with many others. As a cloud-based solution, this new type of Identity-as-a-Service platform is seamlessly connecting users to whatever IT resources they need, including systems, applications, and networks. Users and IT resources can be located anywhere, on any platform, and connecting to anything. A next generation IAM platform will enable True Single Sign-On and more. If you would like to learn more about how Directory-as-a-Service is the next generation of identity management, drop us a note. We’d be happy to discuss it with you.